Haha. That’s so her! She sticks out her tongue when she’s concentrating on something. 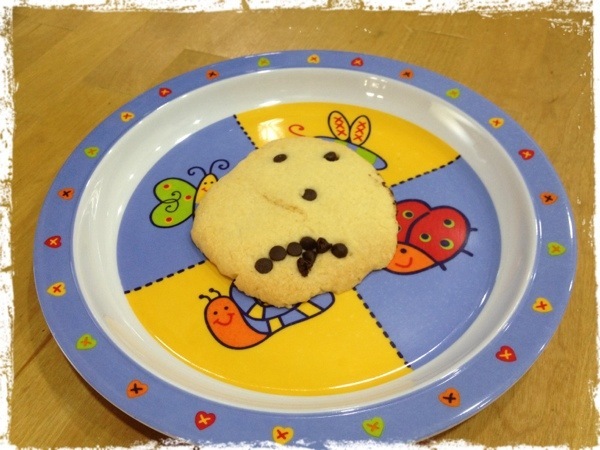 cookery class, Toddler, vanilla butter cookie.